All my life I’ve been a hopeless runner. No matter how hard I tried I’ve never been able to run for more than a couple of minutes. I was determined to change that, so a few months ago I started following the Couch to 5k program, and lo and behold it worked! I can now run 5k without stopping. To follow the program I used one of the several C25k apps available, but when it came to finding an app to push me on from 5k I was lost. So I was delighted when I heard about the release of the new 5K Runmeter app from Abvio. 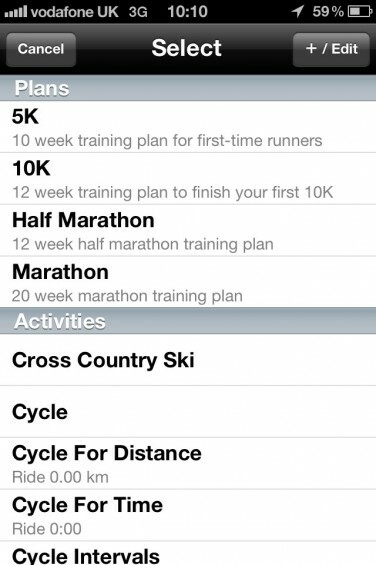 5K Runmeter features four training plans, 5k, 10k, half and full marathon. The 5k plan follows the Couch to 5k route of starting off with intervals of running and walking, gradually increasing the running component until you’re running 5k in one go. The other plans aim to build up your distance over time through gradual increases, with the addition of some walking days on top. 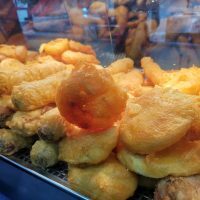 All of these can be tweaked to suit your own requirements, amending which days you work out on, or adding or substituting activities such as swimming and cycling. There are plenty of options so you can set up the app perfectly, but if you just want to get straight onto a run then it’s a simple case of choosing either your plan or activity and setting off. Runmeter provides plenty of voice coaching – for the 5k plan, switches from running to walking and vice versa are clearly announced. The app also keeps you informed of important stats such as distance and current and average pace, with the option of adding lots more such as total time, ascent and comparison against best and worst performances. Once your run is complete, Runmeter provides plenty of information for you to analyse, with all the distance and time stats you could need, along with pace and elevation graphs, and a map of your route. 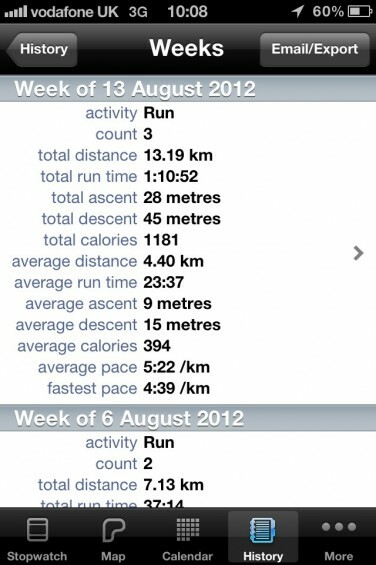 There is also the option to share your completed run on Facebook, Twitter and Dailymile. Sharing isn’t limited to the finish line, either. Runmeter can post updates when you start your run, and at splits or timed intervals – great if you’ve got friends following your progress. If you receive messages of inspiration in reply to these posts, Runmeter will announce them for you as you run. I’ve been using Runmeter for the past few weeks to give it a good run-out (excuse the pun). I’ve been impressed with it throughout, and the more I’ve used it and got used to the features, the more useful it’s become. The vast array of statistics available make it easy to track progress and compare runs – the history tab is particularly useful for getting a summary of activities for each day, week or month. The original Runmeter app was released 3 years ago, and has garnered various awards since then. It’s now on version 7 – which includes the training plans introduced here, so if you’re an existing Runmeter user there’s no need to purchase the new app. This latest version firmly cements Runmeter’s place as one of the top running apps for iOS. 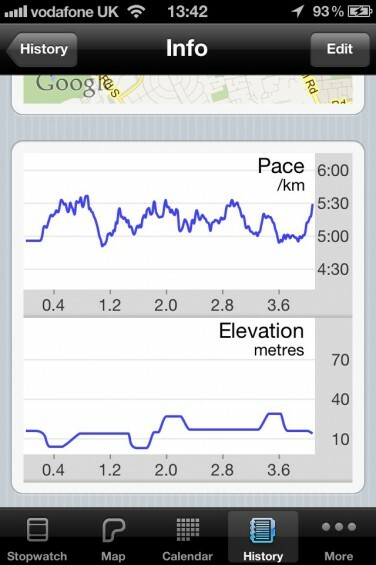 5K Runmeter is available from the App Store, priced £1.99.